Crazy saudies on 2 wheels!!! 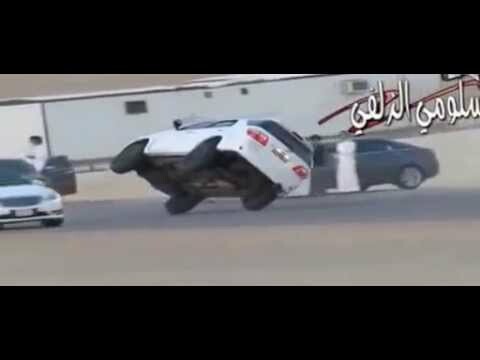 It looks like it’s normal nowadays in the Arab Desert roads to have this kind of exhibicionists! Astérix and Obélix said that the Romans were crazy. Apparently that crazyness claimed the saudies. One of these days they will surely try to break the world record.